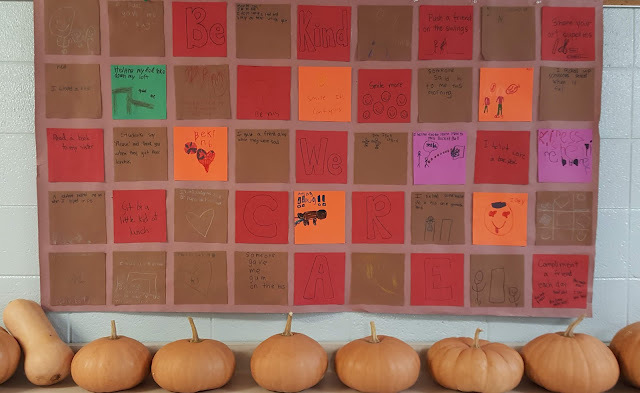 Each year at Ridgeway Community School, we celebrate a theme that brings our school community together to learn, grow, and value one another a little deeper. 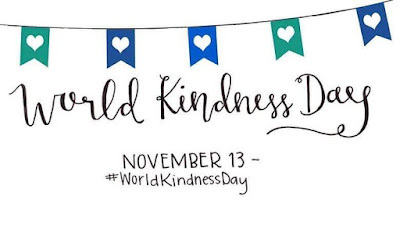 This year the theme is Kindness. 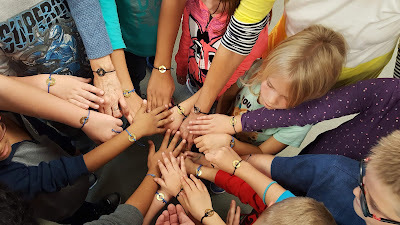 Two of our teachers, Jennifer Krings and Danielle Helms made bracelets for all the teachers and staff. Then they created "Be Kind" bracelets for all the students. The students received these at the first homeroom of the 2018 -2019 school year in September. 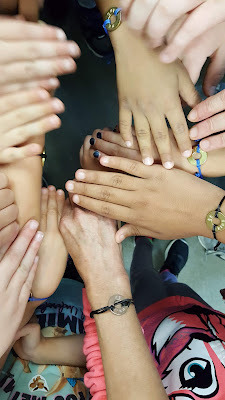 Homeroom is an afternoon every couple of months that we come together as families--all siblings in a family or individual students of mixed age levels. Our Kindergarten through 5th graders all work together on a project or learn something about our theme. During this afternoon, we began to create squares for a Kindness quilt. 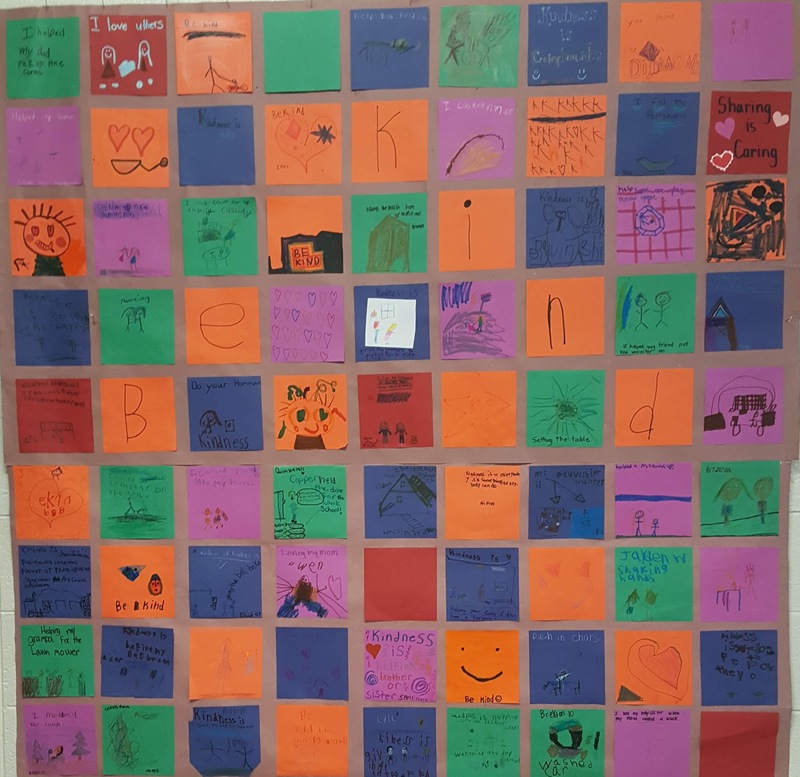 Some ways the children showed kindness in action. 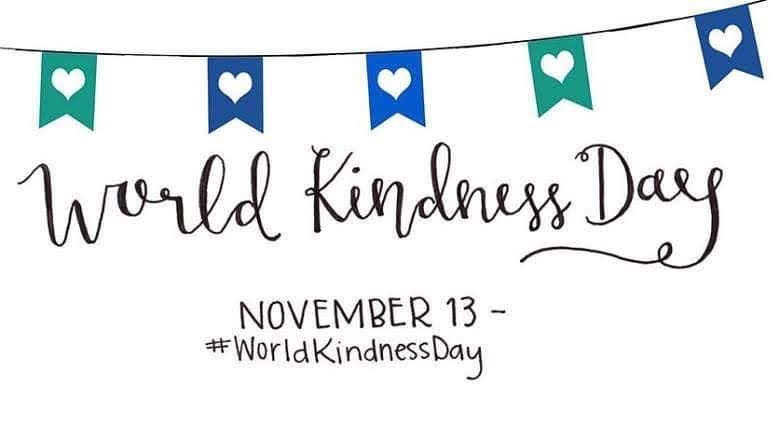 We have lots of opportunities to show kindness. And sometimes we make mistakes and have to say, "I'm sorry," and work on a different way to show kindness. We're all a work in progress--the children and the adults. It's good to have lots of opportunities.